Special Olympics was founded by Eunice Kennedy Shriver. The first International Special Olympics Games were held in 1968 at Soldier Field in Chicago. There are programs in all 50 states and more than 4.4 million athletes in 226 Accredited Special Olympics Programs across more than 170 countries worldwide with 7 regional offices around the world, located in Africa, Asia Pacific, East Asia, Europe-Eurasia, Latin America, Middle East-North Africa and North America. Special Olympics, Inc. is a non-profit international organization located in Washington, DC. Oklahoma’s first Special Olympics event was an athletics competition at the University of Tulsa in 1969. In 1972, Special Olympics Oklahoma was incorporated as a 501(c)(3) non-profit organization and is governed by a state-wide Board of Directors. Special Olympics Oklahoma is authorized and accredited by Special Olympics, Inc., for the benefit of citizens with intellectual disabilities. 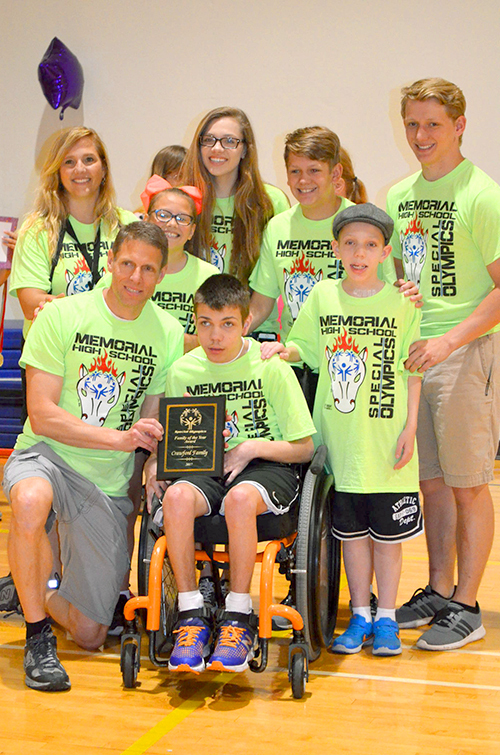 Today, Special Olympics Oklahoma benefits 11,600 athletes and is supported by over 1,700 volunteer coaches and thousands of sponsors, donors and volunteers conducting more than 140 sports competitions and training clinics every year. The goal of Special Olympics is for all persons with intellectual disabilities to have the opportunity to become useful and productive citizens who are accepted and respected by their families, friends and in their communities. Athletes carry the benefits from their involvement in Special Olympics with them in their daily lives at home, in the classroom, on the job and in the community. Families are strengthened and the community increases its understanding, acceptance and respect of these individuals. We take our mission very seriously and Special Olympics Oklahoma is proud to be able to return 87% of every dollar back to program services.